Creole red garlic photo courtesy of Whistling Duck Farm. Creole Red garlic is a member of the Creole garlic family which is known for its deep reddish clove color and its success in growing in warmer climates where other garlic varieties struggle. The Creole in the name would suggest that this garlic may have come from the deep South or France but it is actually believed to have originated in Spain, brought to the U.S. by Spanish explorers centuries ago. Creole Red will produce 6 to 10 large cloves and bulk size can exceed two inches when it is grown in favorable climates. 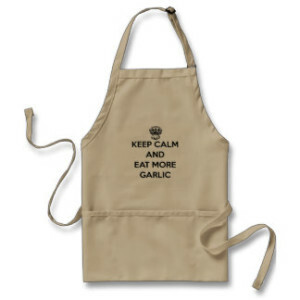 It is one of the few garlic varieties that thrives in areas with mild winters, early springs, and very hot summers. Creole garlics in general were quite rare but they’ve become more common in the U.S. as the ranks of gourmet garlic growers have increased. For some growers in Zone 7 and above, Creole garlics such as Creole Red are their main go-to garlic crop each year due to its adaptability to warm climates. Creole Red has a mild, long-lasting taste and is an excellent choice for a garlic to be eaten raw, as it seems to bother people less who find they are too sensitive to the taste to eat many garlics raw.